Holy Trinity's Office Coordinator is a native New Hampshire resident, born and raised in Dover, NH. He received a BA in Communications from Keene State College in 2010. Mark is an avid reader, golfer, beach-lover, and Patriots fan. During the summer, Mark enjoys spending an occasional weekend at his family’s cabin by the lake, kayaking or relaxing in the hammock with a good book. 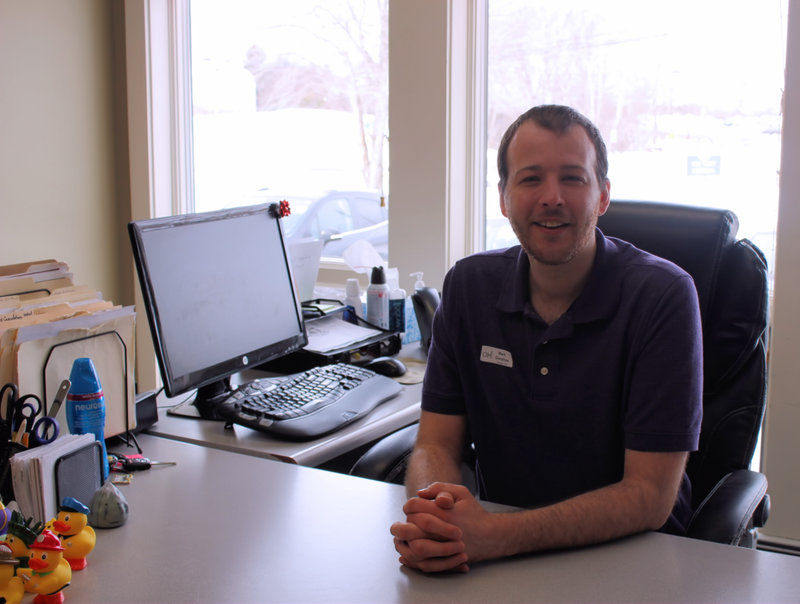 Mark is available in the office on Sunday through Thursday from 9 AM - 4 PM, and can be reached at office@htelc.com or 603-436-1704. Assistant Treasurer: Barry Philbrick – Disbursement and financial reports. Financial Secretary: Nancy Johnson – Receipts and individual member giving reports. Property: David Mercer – Maintenance and improvement of the church property. Caring Connections: Nancy Hansen - Promote the care and wellbeing of members and their families. Social Ministry: Ron Indorf (acting) – Response to human needs outside of the congregation. International Team: Kurt Kasik & Cristina Dolcino – Outreach and aid to our sister congregations around the globe. Adult Fellowship: TBD – Care and fellowship activities for members. Welcoming: TBDs – Christian witness and addition of new members. Faith Formation: Lara Scammon – Support of faith practices in the home and life. Visitation Ministry: Jill Larson – Outreach program for those who can’t regularly attend worship. Stewardship: David Arrington – Coordinate the spirit of giving & stewardship campaign. Library: Dot Kasik & Pam Shaw – Organize and maintain the church's library of books.